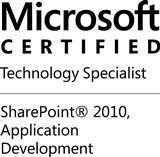 I have been asked a lot if this feature is compatible with SharePoint 2013 so to make your life simple (and mine too I guess) I have migrated the Visual Studio 2010 (SharePoint 2010) solution to a Visual Studio 2012 (SharePoint 2013) solution. You will find here the solution and here the wsp. 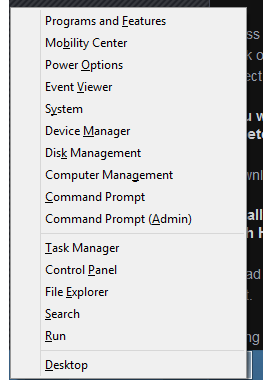 When I started using the Document Sets feature I was surprised to see that you can not move a file to an existing Document Set, at least not easily. …but anyway it’s not going to move the document but to copy it which is not what I want to do. I came up with my own solution which will provide another menu item in the ECB (EditControlBlock) allowing the user to move a file to a document set. an Application Page ChooseDocumentSet which allows the user to select the document he wishes to move the document into. Sequence = “0” sets the Custom Action at the top of the menu. RegistrationType = “ContentType” and RegistrationId = “0x0101” will make the Custom Action only visible for the Document. Rights = “EditListItems” will make the Custom Action only visible for people who have Editing rights. The rest of the Custom Action is pretty self-explanatory, I call our Application Page in a modal dialog using the Dialog capabilities of SharePoint. For the server side code, I’m using the MVP Pattern (model-view-presenter), so you will find the main logic of the code in the Presenter of the ChooseDocumentSet page. I check first if I am not already in a document set, if it’s the case, I get its name. In the second part, I get recursively the list of document sets existing in the current list, I exclude the current document set if it’s the case. Note that ParentFolderIsDocumentSet() and GetDocumentSets() are both Extensions Methods defined in a separate class that I will not explain here. 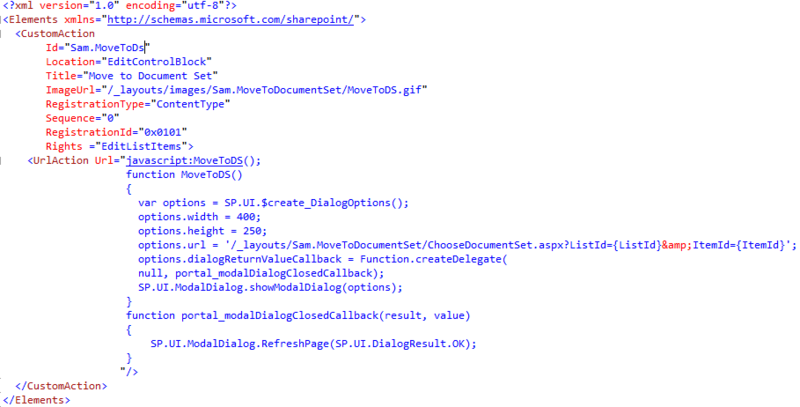 This is where I actually move the document using the SPFile.MoveTo method. It’s the same method you would use to move document within a folder for instance. 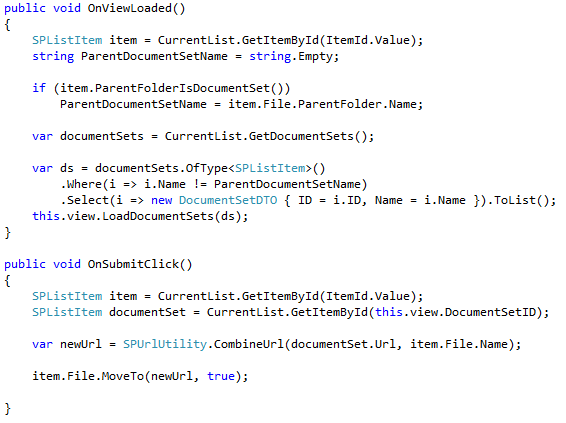 In fact, a Document Set is an object which derived from a SPFolder. 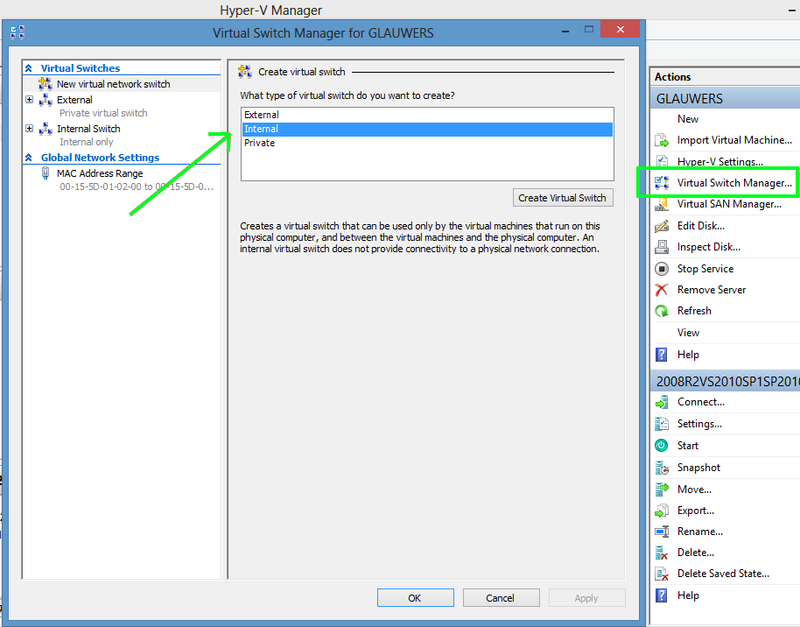 You will find the Visual Studio Solution (SP2010) here.